Kay Rose has spent a lifetime excelling in the world of fashion. As a St. John's specialist at Chicago's Saks Fifth Avenue, she turned a small boutique section into one of the most profitable departments in the entire country. Featured multiple times in Chicago Magazine, Kay is one of the faces of Chicago fashion. Her current venture, the Kay Rose Collection, brings fashionable accessories to customers of great taste. 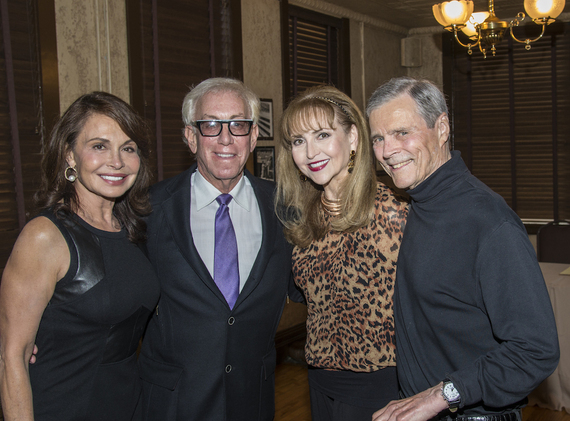 With this business, Kay will no doubt continue to be a vital part of the Chicago fashion world. Check out all of her designs at The Kay Rose Collection. As the President of Cinespace Chicago Film Studio Alex Pissios has been at the center of Chicago's revitalized film and television industry. Cinespace converts old factories into soundstages, and Pissios' studio occupies 1.45 million sq. ft. of what use to be the old Ryerson Steel Company, a former steel-processing plant on the Southwest Side. Pissios' work has been instrumental in drawing filming of such hit shows as "Chicago Fire" and blockbuster films like "Transformers" to Chicago, prompting hundreds of millions of dollars-worth of investment into the Windy City. Pissios also leads the Cinecares Foundation which was was founded in 2014 to fulfill the legacy left behind by the founder of Cinespace, Nikolaos Mirkopoulos, and has led remarkable initiatives for both improving education and supporting community-based arts programs. Pissios truly is succeeding in his effort to enrich Chicago, in more ways than one. For more than 30 years, Stanley Paul has been a Chicago institution, and perhaps one of the best-know bandleaders in America. As head of the eponymous Stanley Paul Orchestra, he continues to be a fixture of the city's social scene. Whether a wedding or a gala ball, the Stanley Paul Orchestra can be counted on to provide the finest music playing around. Stanley Paul himself has overseen the band's growth and the develop of an astonishingly broad repertoire ranging from the classics to the contemporary. A true Chicago legend, we look forward to his gracing city ballrooms for years to come. Contessa Helena Bottega is undoubtedly one of the finest fashionistas in world. Her boutique in Chicago's Gold Coast is a one-stop shop for all of the finest designers and most fabulous clothes you can find today. 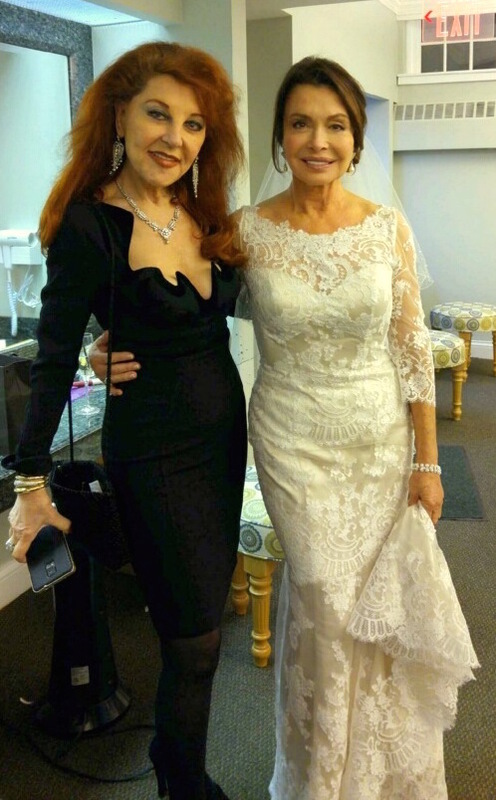 It was at the Contessa's boutique that I found my own wonderful wedding dress, the bridal couture section is absolutely DIVINE, so I have a deep personal affection for the place. In addition to her fabulous sense of style, Contessa Helena showcases an eclectic mix of classic and exotic fashions by designers like Roberto Cavalli, Blumarine, Rocco Barocco and Morgan de Toi, to name just a few. Joseph Ahern is one of the titans of Chicago television. As the chief of ABC 7 from 1985 to 1997, and of CBS 2 from 2002 to 2008, Ahern has shaped Chicagoans' TV-watching experience for decades. He has left a mark that stretches far beyond local television however, as he helped accelerate the career of one of Chicago's finest when he supported the launch of "The Oprah Winfrey Show" while at ABC 7. Ahern continues to give back to the community, currently serving as CEO of the 100 Club of Chicago, which helps support the families of first responders who have fallen in the line of duty. Ahern's work for the people of Chicago makes him deserving of special recognition. One of Chicago's great restaurateurs, Richard Melman has been at the center of some of the city's great culinary landmarks, including Wildfire Grill, Shaw's Crab House, and Big Bowl. Melman's Lettuce Entertain You Enterprises has grown to include more than 100 venues. Not bad for a kid who used to sell ice cream and peanuts on Chicago's beaches! Despite his vast culinary empire, Melman's life still revolves around his family, his wife of 40 years and three children. Truly, he is a great Chicagoan. Check back for full stories on some these great Chicago residents.